Two years ago, Dan Dainton and his father Kevin bought a plot of land in Carrum Downs. There they had grand intentions to build a brewery upon which they could produce all the beers that were at that point residing purely in Dan’s somewhat eccentric mind. The plan was to open by the end of 2015. But, as is often the way with best laid plans, there were a few hiccups along the way. Now, finally, the end – or perhaps the beginning – has arrived. 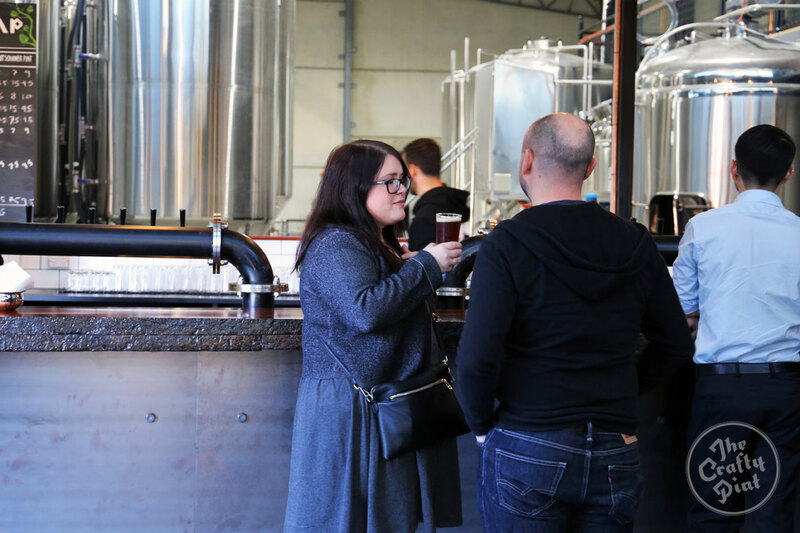 Last weekend, Dan, Kevin and the assorted crew members who have since joined the Dainton Family Brewery clan, began to welcome guests in to the newly opened brewery in Melbourne's southeast for the very first time. The opening may have come two years after they took hold of the site, but it's longer still since they first began the hunt for a suitable site. Despite searching right across Victoria – including almost buying a space in Castlemaine – they returned again and again to their desire to be on the way to the Mornington Peninsula. That desire is now reality, with the Daintons owners of a 30 hectolitre brewery and accompanying bar, which will before too long be pouring beer brewed just a couple of feet away. But even chatting amid the shiny new tanks and industrial chic fit-out, both Dan and Kevin are happy to admit it has been a battle getting the doors open. “We bought the land two years ago, but there is so much planning and council approval required before you even lift a finger,” says Kevin, in words that will be familiar to many a brewery owner. Dan and Kevin amid their finally functional towers of steel. When asked how that process has gone, Dan responds with a witheringly sarcastic: “Wonderful!”, before his father cuts across with a more honest answer. 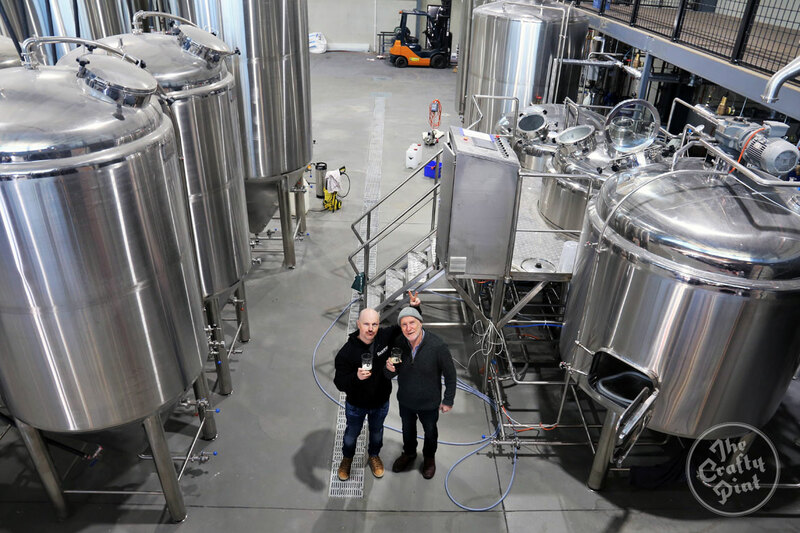 The task fell to Kevin to run the build remotely from his home – some two hours away from the Carrum Downs site, while Dan continued to gypsy brew beer and, along with Family Ambassador Evin Craney, get it on store shelves and bar taps. Balancing the immediate needs of the burgeoning brewery against their future workspace made for plenty of passionate discussions between the two, but they never lost their sense of humour or respect for one another. “Kevin has done a remarkable job on this,” says Dan. “He would drive two and a half hours to come to the building site every week, stay at my place in the cold, freezing spare room, then head in the other direction to Bairnsdale to see his girlfriend afterwards. “Since we started this process, I’ve moved house five times, been divorced, remarried, and had a child," he adds. "So you could certainly say it’s been a ride." Reflecting on what insights they could offer to future brewery builders, the message is clear: buy or lease an existing building, as it’ll save you significant headaches. “Getting this place up to spec was very, very difficult,” says Dan. Similarly, they advise against buying brewery equipment from a manufacturer overseas without inspecting it first. Advice they would likely have been happy to hear before undertaking the build themselves. The first guests to sample the new brewery tasting room's wares. Issues aside, they have finally made it. 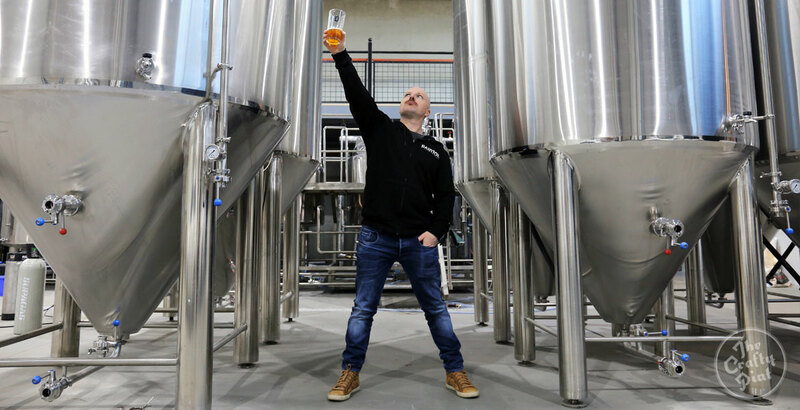 So, what now for Dainton Family Brewery? The first brew on the new kit is pencilled in for early August. There is also ample space for the start of a barrel ageing program so they can continue to develop brews such as their yearly Manhattan Ale release. “While we’re not pumping out crazy levels of stock, I think it’s a good idea to have a few barrels ageing away that we can have ready for release in the future,” says Dan. They have also refined their brewery branding once again, with their core range all in the process of being repackaged, and are awaiting the arrival of a canning line that will give them the capacity for both standard and CANimal sized packaging. The brewery bar itself will be open from Thursday until Sunday, with the intention to expand the hours in time. Like a number of their Victorian peers, their bar is perched on the edge of both industrial and residential areas, so the opportunity to attract locals is significant. Now that the dust is finally settling on this multi-year project, and no longer a brewer without a home, you would think Dan and the extended family would be looking forward to settling down to a spot of normality. But, ever the ideas men, Dan and Kevin already have their sights set on finding a unique property where they could create a destination brewery, much like you might find along the Margaret River. As to what this might entail, Dan made reference to unicorns, rainbows, and magical elves. With these two in charge, who knows?